1. On his first day in office, Gov. 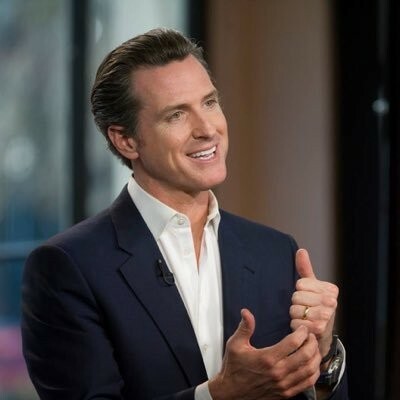 Gavin Newsom said he plans to push for a “Marshall Plan” for California’s extreme housing shortage and its homelessness crisis, The New York Times$ reports. During his inauguration speech, Newsom also “proposed a broad overhaul of health care” and promised “to throw the state’s financial power into an effort to lower prescription drug costs, expand Obamacare so middle-class families can receive subsidies to buy insurance, and offer Medi-Cal coverage to undocumented immigrants up to age 26,” reports Joe Garofoli of the San Francisco Chronicle$. 3. Another storm is bearing down on Northern California — and it could bring thundershowers, wind gusts of more than 40 mph, and the potential of rockslides and downed trees and power lines, reports Sarah Ravani of the San Francisco Chronicle. The storm also is expected to dump another foot of snow in the Sierra Nevada. 4. It is illegal for politicians to block people on social media, including Facebook and Twitter, a federal appellate court has ruled, reports Levi Sumagaysay of the Bay Area News Group$. The U.S. Court of Appeals for the Fourth Circuit ruled that politicians who block citizens are violating their First Amendment rights. 5. An Oakland dog owner who was arrested for biting a jogger near Lake Merritt claims that she did so because the runner had allegedly peppered sprayed her dogs, BuzzFeed News reports. The incident went viral on social media. 6. And California’s ban on foie gras is finally going into effect after the U.S. Supreme Court refused to hear a challenge to it, the LA Times$ reports. California voters approved the ban in 2012, but it has been held up in court ever since.